At West Coast Nursing Ventura, Inc. we provide skilled nursing services for adults and seniors dealing with chronic illness, injury or disability. 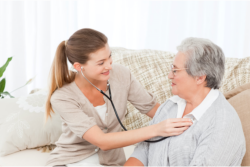 In addition to Nursing Care, West Coast Nursing Ventura, Inc. also offers other services related to home health care in Hillcrest Drive Thousand Oaks CA. Please call us at 805-496-0900 to request for an assessment.